Renewing a water tank interior is a major undertaking. Several factors must be considered to ensure that the job is done well and will give long lasting protection and service. 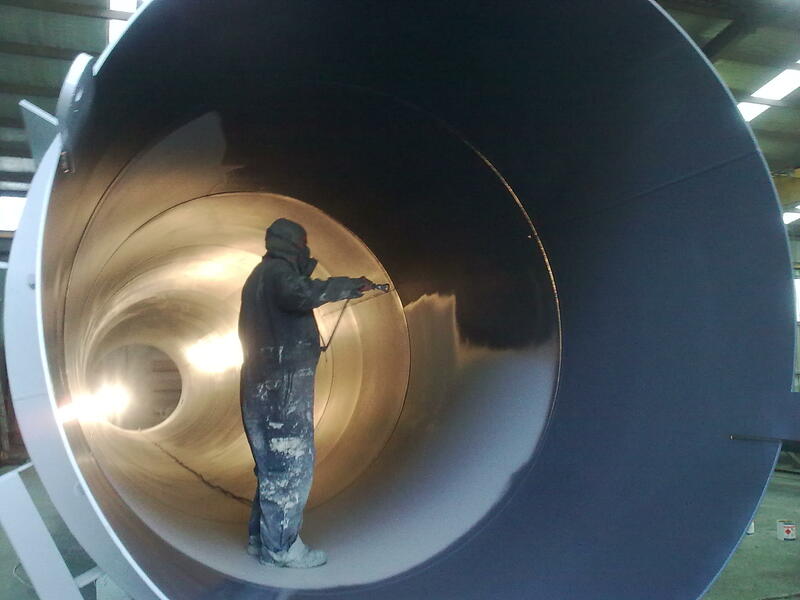 Very few companies have the expertise to perform this task in-house, so it is essential to utilize an industrial painting professional with experience in water tank linings. Here are a few of the issues that you would want to discuss with your professional. What are your needs with respect to lining selection? At a minimum, there are four factors to consider when selecting a liner or coating. 1. Will the lining give maximum protection from corrosion with respect to the tank itself? One of the primary reasons for coating the steel is to prevent corrosion. 2. Will the lining perform well with respect to your particular environment? What are the unique conditions that your application faces? 3. Will the lining give maximum adhesion, again in your environment? Do you need additional thermal properties? Depending on the type of cathodic protection used in your tank, will the lining resist cathodic disbonding? 4. Will the lining not only give long lasting service, but if necessary, can it be easily repaired in the future should it become necessary? All of these issues must be addressed when relining water tanks.. Does the lining/coating meet the requirements for potable water storage? The standard for the U.S. NSF/ANSI Standard 61. This addresses the amount of chemicals that are allowed to leach into the tank from the coatings, odor, taste, and much more. What type of resin does the lining utilize? The most common linings used today involve some type of resin. These come in various chemical compositions. Older formulations utilize polyester/vinyl ester epoxies or solvent borne epoxy. These have been used for years, but are being replaced by newer formulations which are environmentally friendly and/or more effective. Two of the newer resins are solventless epoxy or elastomeric urethane/polyurea formulations. If tank lining is in your future, this brief overview demonstrates why it is vital to employ a knowledgeable and experienced tank lining contractor. You want a project of this nature to be done right the first time.